The fetus could get a little A-R-15, sized down, maybe, an A-R11 or something. That way we could kill two bird with one stone, end abortion, and keep America safe from commie heathens and other such vermin. You can’t think in terms of years, you have to think in terms of days. That’s the way things are, once you reach a certain age. Ten years is nothing, if you’re sixty. You’ve done ten years six times. Ten years can pass like an air conditioned breeze, absorbed by the summer heat. So you have to think like this; what if I had 360 days, give or take, what could I do? How creative could I be? How much music could I make, of lasting value? How many articles could I write? How many times could I sit on beautiful beach, on a beautiful day, when the sky was deep blue and the water sparkled like little diamonds napping on the surface? That’s one year, 365 days. And ten years is even better. A wonderful three thousand plus days. ​Thank God for 3000 days or more. Now, what can I do in the next 3365 increments of time? Maybe hours would work even better? It’s like…..a gun that like…...can shoot a lot of bullets, like…..and stuff…...and…...uh? Uh? Uh? I don’t know, but like….they should be illegal…..because nobody, like…..needs one….like…..you know? You’re just trying to make me look bad…….because like…..you right-wingers love guns and killing and stuff…..like…..I’m not gonna talk to you anymore…...like, and stuff…..OK? 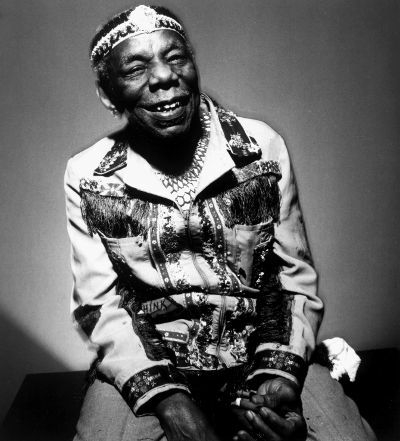 This is Campion Jack Dupree, who was nine thousand years old in this picture. But he still had plenty of mojo, plenty of savoir-faire. Just look at that crown-thing on his head. Champion Jack would go out on stage and play dem blues like he was 22. That's livin' baby! Being nine thousand, and still, playing dem blues, like you 22. Mm....mm!